While many options populate the current senior-care landscape, the community is an integral component to maintaining the optimal health and well-being of residents and patients. Elder-care providers need to consider how to cultivate a sense of community among staff, as well as with patients, in order to create healthy, happy living environments. How is the senior-care company engaging with their residents? What are they doing to give back to the community? How do they encourage staff to provide the best possible experience for patients? What services and amenities do they offer? These questions are all directly related to how a senior-care facility cultivates community. More importantly, they support the overall care and well-being of residents and patients. It is no secret: people need people. Daily interaction among residents and strong bonds between residents and staff are integral. 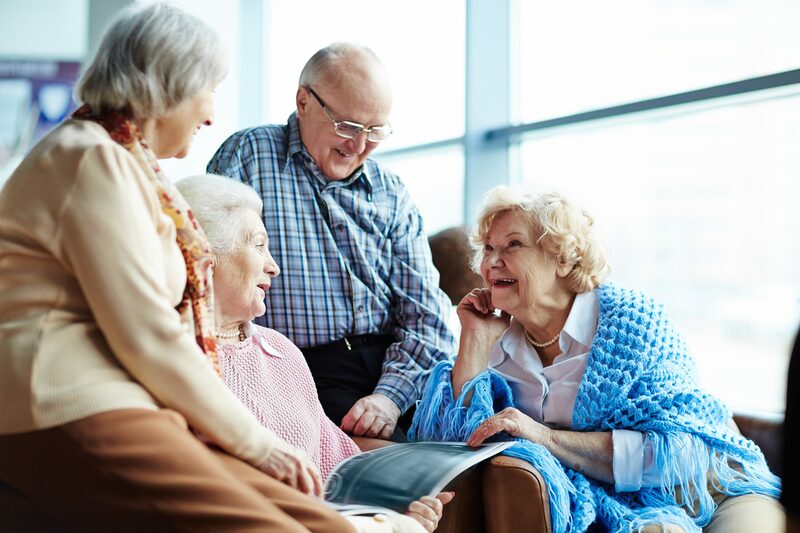 Opportunities to cultivate new relationships at an elder-care facility need to be ever-present in order to encourage a vibrant, communal living environment. In short, a senior-care facility should provide much more than a place to sleep or a team to address medical issues. It should nurture relationships between residents and staff, provide recreational opportunities, and offer educational events and special happenings to inform and engage residents. For example at CareOne, residents have the opportunity to enjoy restaurant-style dining three times a week with their neighbors and friends. Activity and game rooms encourage daily interaction. Further, an ongoing roster of events – from a fall carnival and aroma-therapy seminars, to support groups for residents and their families – create ongoing opportunities to engage, nurture and grow relationships. Most importantly, it creates an incredibly diverse and interactive environment for residents to engage with one another. Giving back should be part of the program. As an industry whose primary goal is caring for others, creating a sense of community through outreach and give-back components is essential to creating true value and camaraderie at an elder-care facility. According to CareOne Chairman and CEO Daniel Straus, nothing is more rewarding than extending the idea of caring for others beyond the walls of your community. It helps elevate the culture of an organization. Harnessing this energy among residents and staff allows the caring spirit to permeate a senior-care community while lifting up the lives of so many. The reciprocal benefits of philanthropy and elder care are numerous. Employees feel empowered by working for an organization that positively gives back to others. This translates to a higher standard of care for residents. Residents and patients feel a sense of pride for the community in which they are now apart of which, in turn, encourages further engagement in residential life. Ensuring your family or loved one is going to receive the best possible care comes down to the people that will take care of them day in and day out. As such, when looking at senior-living communities, research how each facility engages with and celebrates their staff. A team of healthcare professionals that feel empowered by the company they work for and the residents they serve is essential. This directly impacts the relationships staff build with patients and residents. Some good questions to ask include: Does the senior-care facility recognize employees for outstanding services or accomplishments? Do they execute philanthropic programs that support staff members’ interests and or personal lives? And, are current residents going the extra mile to celebrate key personnel? A good example of the latter is a group of residents who honored CareOne’s recreation staff during National Activity Professionals week by preparing a celebratory seven-course dinner. Not only is community created, but it is grown when an elder-care company empowers its staff. A good elder-care experience needs to include the services and amenities that not only creates a community, but makes a resident feel at home. Maintaining a diverse quality of life that encourages activity and engagement among residents is key. At CareOne, for example, full-service beauty salons and barber shops, as well as resident health spas, are an integral part of the community. Not only do residents enjoy pampering themselves, but they can do it alongside their friends and neighbors. Further, the company’s commitment to health and fitness creates an ideal offering for residents. The expansive fitness facility at CareOne at the Cupola offers programming twice a week for residents in a comfortable group setting. Personalized, one-on-one sessions are also made available to residents, with initial assessments conducted to meet each residents’ individual needs and goals. In short, personalized service that encourages interaction with other residents and nurtures relationship-building with personnel is a win-win. When visiting facilities or speaking to representatives on the phone, ask about how their services and amenities create a communal feel for residents. Interested in learning more about care options and resources available to your loved one? Be sure to visit CareOne for more information about getting started.